Cat’s Ear, also known as false Dandelion, does well to live up to its name. 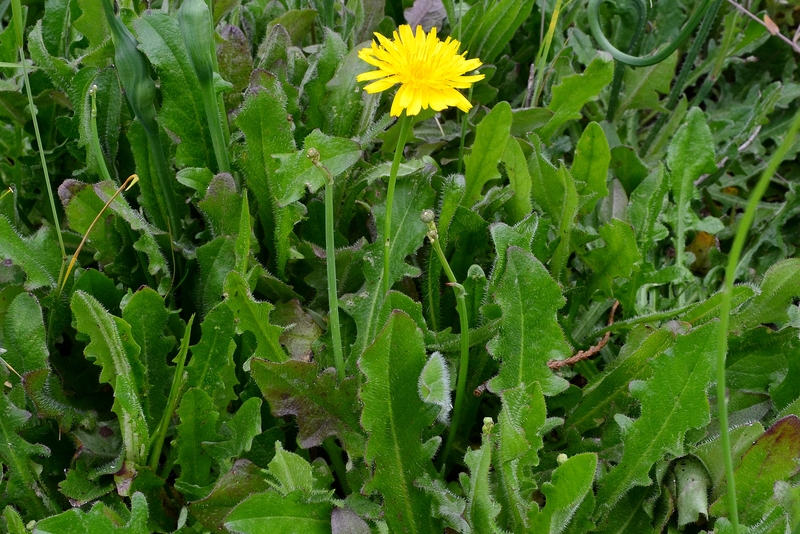 Both the leaves and flower resemble Dandelion. Even the tips of the leaves have the shape and furry texture of a cats ear. This very fuzz amongst a few other slight variances also make Cat’s Ear distinguishable from Dandelion. Besides Dandelion, Cat’s Ear is a top competitor against lawn care management, finding its home in even the driest of front yards. 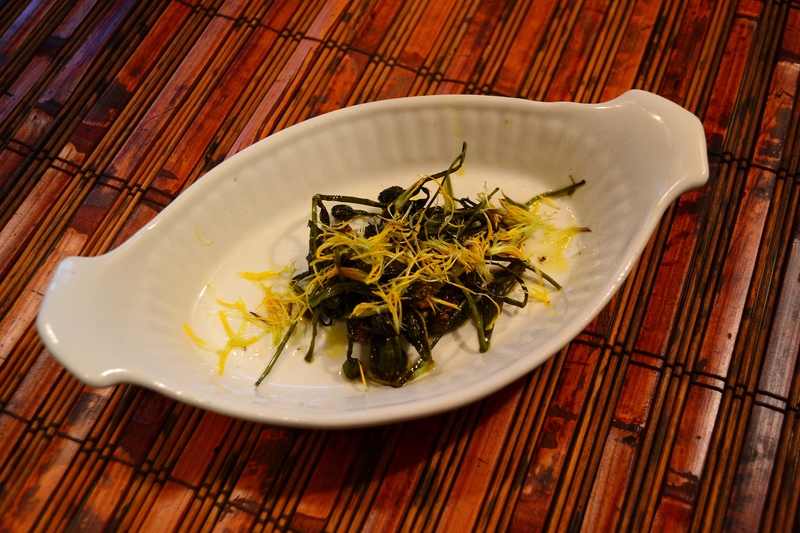 In an attempt to find yourself in natures limelight, why not try removing this weed using biological warfare… Eating it! When you have yourself a good patch it literally takes 2 minutes to find enough Cat’s Ear flower buds for dinner. If this list of ingredients didn’t blow your mind and you’re still with me, here’s the process in picture format. Place the washed stems/flowers in a shallow bath of water in a pot with lid on. 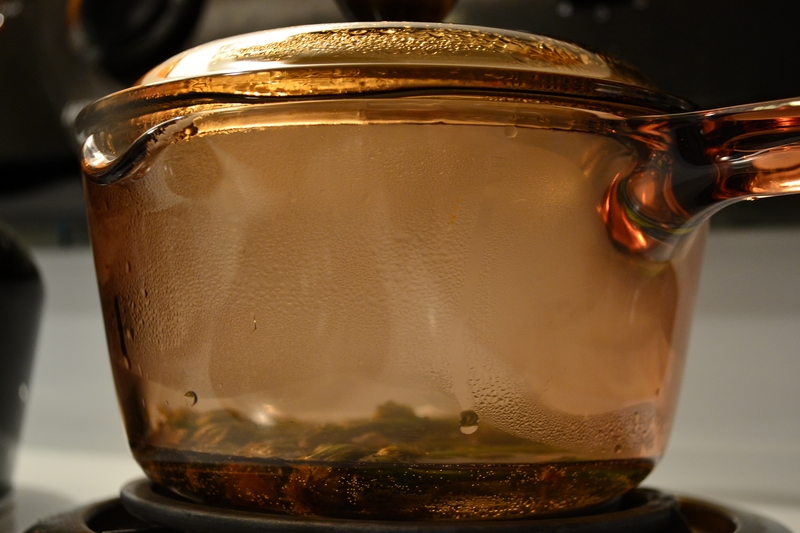 Steam on a medium heat and allow to simmer till soft. Using EV Olive Oil and Garlic Salt (or whatever spice your heart’s desire) fry on a medium high heat till slightly golden. Using extra virgin Olive Oil and Garlic Salt (or whatever spice your heart’s desire) fry on a medium/high heat till slightly golden. 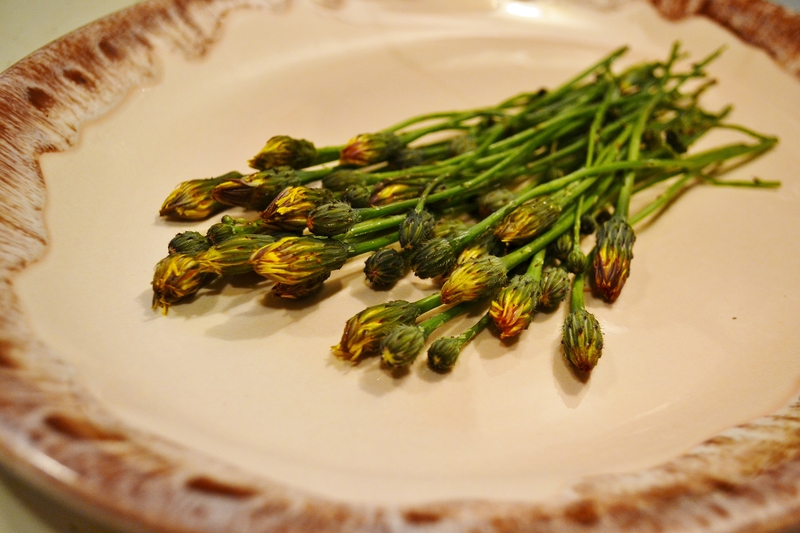 Garnish with the petals of a fresh flower, display on a dish and voila! A delicious and nutritious showpiece for your next dinner party. Just don’t tell your guest where you picked their veggies! 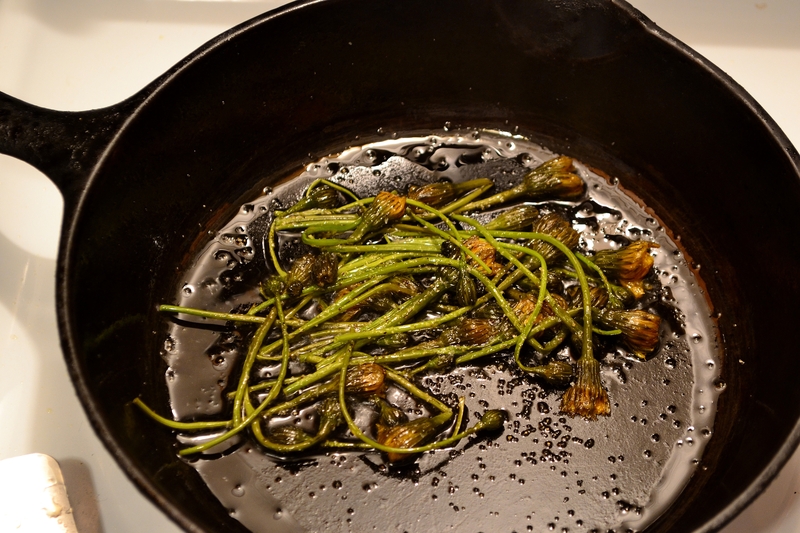 **Check back next week as I attempt to fry my first: Beer Battered Ox-eye Daisies. These were my favorite weed because they don’t form a taproot, so they’re easy to pull up. I guess now I’ll have to try eating them as well!